Richard Alpert was born in 1931, the son of a wealthy lawyer who was the president of the New York, New Haven & Hartford Railroad Company and the first Chairman of the Brandeis University Board of Trustees. Alpert studied psychology and earned an M.A. from Wesleyan and a Ph.D. from Stanford. 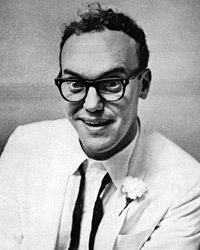 From 1958 to 1963, he taught and conducted research at the Department of Social Relations and the Graduate School of Education at Harvard University. While at Harvard, Alpert's explorations of human consciousness led him to conduct intensive research with LSD and other psychedelic elements, in collaboration with Timothy Leary, Aldous Huxley, Allen Ginsberg, and others. Because of the controversial nature of this research, both he and Leary were dismissed from Harvard in 1963. In 1967 he traveled to India where he met the spiritual teacher, Neem Karoli Baba. 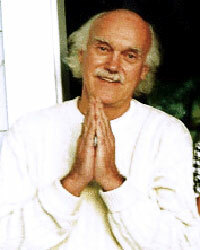 Under his guru's guidance, he studied yoga and meditation and received the name Ram Dass, or "servant of God." Since 1968, he has pursued a variety of spiritual practices, including Hinduism, karma, yoga and Sufism. His book Be Here Now brought him further into the public eye in 1971. 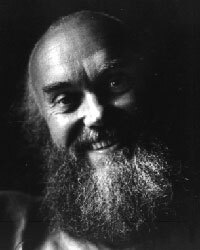 In 1997, Ram Dass suffered a stroke which paralyzed the right side of his body and significantly affected his ability to speak. Despite this challenge, he continues to teach, write and lecture.